The Quebec government stands by its decision to expel a woman from a language class for refusing to remove her niqab veil and will take further steps to avoid similar situations in the future, said Deputy Premier Nathalie Normandeau on Wednesday. Naema says she wears the niqab for religious reasons. The niqab is a style of headwear that covers the whole body, leaving only the eyes exposed. ((CBC))The Quebec government stands by its decision to expel a woman from a language class for refusing to remove her niqab veil and will take further steps to avoid similar situations in the future, Deputy Premier Nathalie Normandeau said on Wednesday. The Egyptian woman complained to the province’s human rights commission after she was kicked out of a language class for new immigrants at the CÉGEP St-Laurent when she would not take off the niqab that covers her head and face while in class. The veil leaves only her eyes exposed. But, Normandeau said the government was simply "taking its responsibility" in supporting the CÉGEP in its decision to expel the woman. 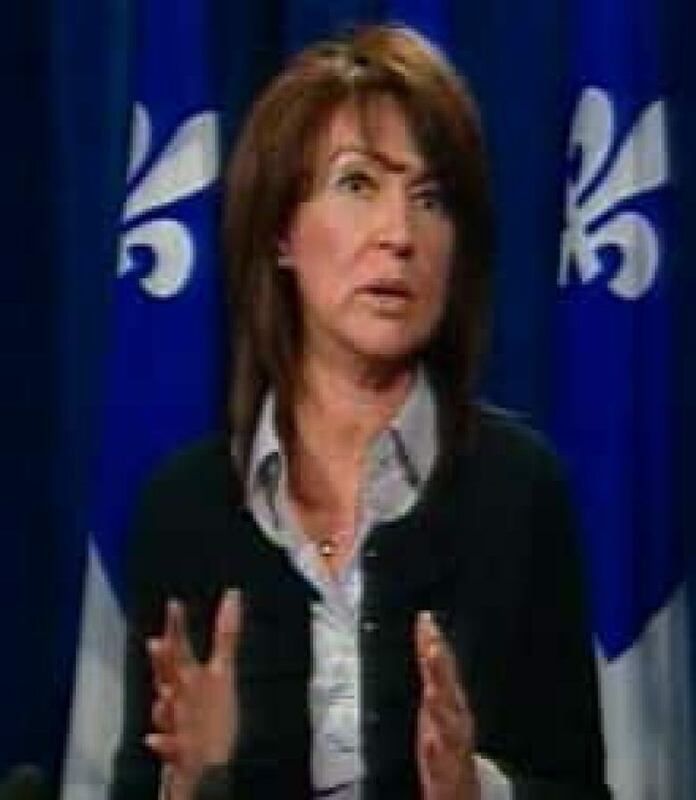 "Our position has been that when a person receives public services they must do so with their face uncovered," Normandeau said, responding to questions from reporters in Quebec City. "I confirm that we will take further steps which will allow us to clarify certain situations," Normandeau said. She refused to provide further details, adding an announcement would be made in due course. In an interview with CBC News, Naema, who only wants to be identified by her first name, says she wears the veil for religious reasons and feels she was treated unfairly. She said she made it clear from the moment she enrolled in the government-sponsored course that she wanted to wear her niqab in class, because there were male students present. Her female teacher was accommodating, she said, telling her she could sit in the front of the class with the men behind her so that if she did need to lift the veil when speaking, only the teacher would see her. The compromise worked well, and Naema said she was happy. During group discussions, she wore her niqab and spoke loudly so people could hear her. It was only when officials from the province's immigration ministry visited the class that she was asked to stop wearing the niqab altogether. When she refused, they told her she could no longer attend the course. The experience – and the subsequent attention the case has attracted — has been stressful. "I have three kids, and now, I am very nervous, and they're crying, and I have quite a problem," Naema said. Naema came to Canada from Egypt with her husband and wants to learn French so she can get work as a pharmacist in Quebec. Currently, she has permanent resident status. She believes the immigration officials violated her right to religious freedom, which is the base of her formal complaint to the rights commission. Two years after the province launched a costly and controversial commission looking at the question of the accommodation of religious and cultural minorities, Naema’s case has renewed the debate. Constitutional lawyer Julius Grey successfully defended a 12-year old Sikh boy’s right to wear a ceremonial dagger in school. But, he said he draws the line with the niqab. "If you put a barrier to the showing of the face, then you don’t integrate. I can hardly see how friendships can be made, how social life can go on with someone whose appearance we don’t know." The CÉGEP maintains the school tried to accommodate Naema but that she refused to compromise in class, causing tension for other students. Naema said she is now taking French classes elsewhere and spends much of her time online chatting with friends she used to see in the classroom. The commission will review her complaint later this spring.